Florida finished the final day of the USF Opening Weekend Invitational the same way it finished the first: with a win. The No. 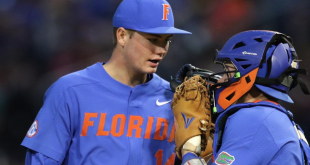 5 Florida Gators (5-0) earned wins over North Carolina State and South Florida to cap off the beginning of their 2019 season. 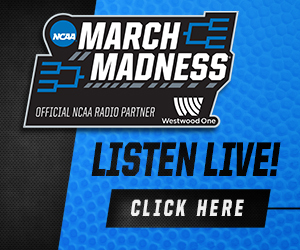 This is the sixth straight time Florida has left USF’s opening weekend tournament undefeated. 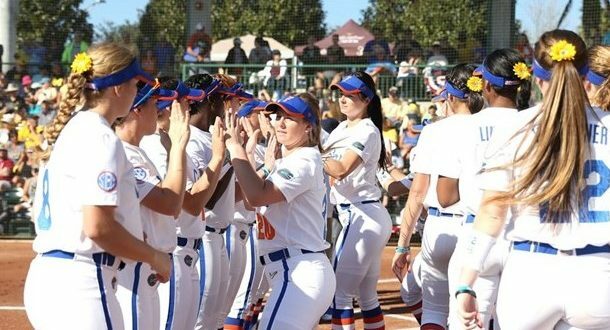 UF was able to experience both a walk-off win and a handy win on Sunday. The first came against NC State where Florida led for most of the game after taking the lead 1-0 in the first inning. Eventually, the Wolfpack tied the game at one in the fifth. The Gators loaded the bases with no outs in the bottom of the seventh and Jordan Matthews scored Haven Sampson from third on a sacrifice fly for the walk-off. “We all know Jordan (Matthews) is no stranger to walk-off hits,” pitcher Kelly Barnhill said. 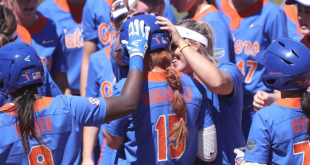 Matthews hit a walk-off home run in the Super Regional against Texas A&M in 2018 to send Florida to the Women’s College World Series. Florida and USF were tied 1-1 going into the top of the fourth inning. 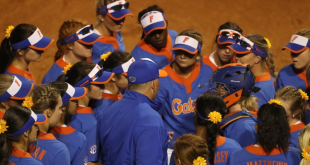 The Gators loaded the bases with two outs as leadoff hitter Hannah Adams came up to the plate. The sophomore second baseman sent a pitch flying over the outfield fence for a grand slam. UF would keep the Bulls in check for the rest of the game winning by a score of 7-1. 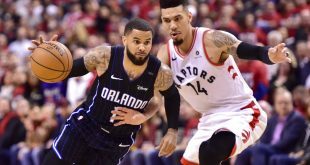 Adams said postgame she was trying to replicate the “clutchness” of Matthews from game 1. It was business as usual on Sunday for Kelly Barnhill. She came on in relief against the Wolfpack to earn the win and started against USF. In fact, she recorded a total of 14 strikeouts and one earned run while picking up two wins on Sunday. She relieved Natalie Lugo against NC State. Lugo impressed in her second start of the weekend with six punch-outs over four innings pitched. Elizabeth Hightower made her debut in the orange and blue against the Bulls. She relieved Barnhill and emulated the Florida ace. Hightower struck out four of the six batters she faced over her two-inning appearance. “I was so happy to see all of the work she’s put in this fall, and so far this spring, pay off,” Barnhill said. The Gators are in Gainesville for their first game in the newly renovated Katie Seashole Pressly Stadium. They face the Japanese national team in an exhibition at 6 p.m on Tuesday. They’ll make their regular season debut the next day against North Florida at 6 p.m.